Reference Universe customers subscribing to the Wiley Online Library will now find 82 new titles from this invaluable resource included in Reference Universe. 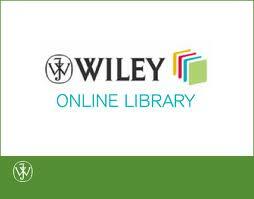 The Wiley Online Library brings many of the quality resources Wiley-Blackwell has long been known for into an easy to use online platform. The award-winning reference content included in the Wiley Online Library covers life, health, social and physical sciences, and the humanities. As one of the world’s most extensive multi-disciplinary collections of online reference resources, its inclusion in Reference Universecontributes to Paratext’s ongoing goal of ensuring that Reference Universe is the most comprehensive and indispensable discovery aid for authoritative reference works. If your library has not yet explored the enhanced level of discovery Reference Universe can bring to your reference collection, try it out for free. Contact us for more information on setting up a free 30-day trial for your institution.